The Elstead Balance Floor Lamp is a modern standard lamp in a Brown and Polished Brass finish with a bottom diffuser. The Elstead Lighting Balance Floor Lamp Is In A Mocha Brown Finish With Polished Brass Elements. 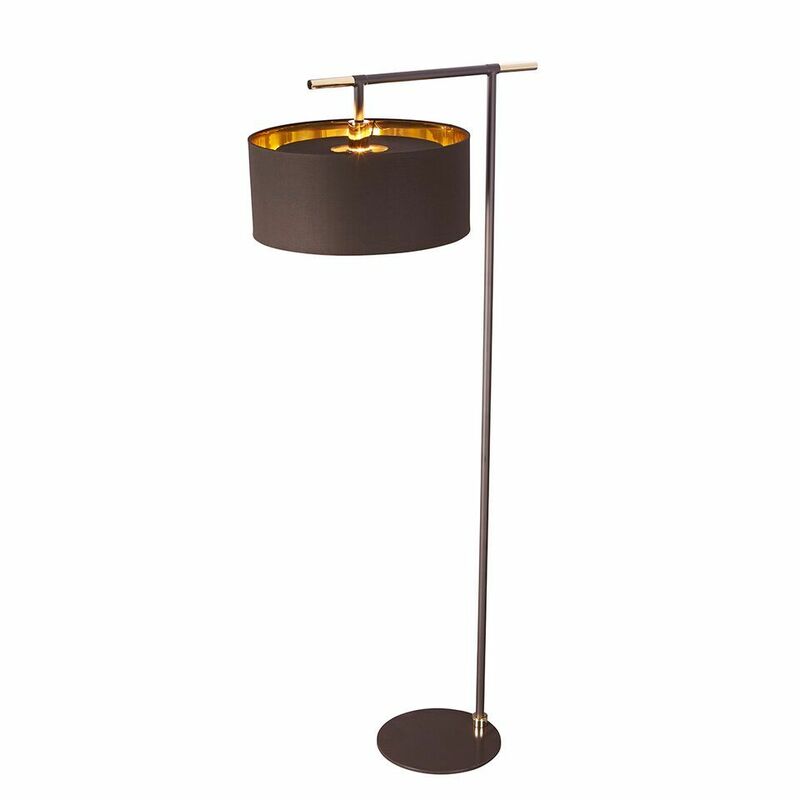 The Shade of The Balance Standard Lamp Has A Gold Metallic Lining And A Diffuser.